If you’re a new or inexperienced dog owner, you always want to learn tips, secrets and easy how-to’s when it comes to your pets. Hey, even if you’ve had pets your entire life, it’s always fun to learn something new or share ideas. Working in the pet industry has made me privy to many discussions involving remedies and solutions to common problems with your pet. Now we all know there’s more than one way to do anything, so if you have another way to do something, please add it to this list so we can all learn. That’s why we’re here, after all! “A spoonful of sugar makes the medicine go down.” This may work for kids, but what if you’re trying to give a dog or cat a pill, huh? Well, there’s something better than sugar in their case; hot dogs and cheese. Both of these things are smelly and squishy, hiding the consistency and scent of the pill just enough to get them to eat it. Take a small piece of either and stuff the pill in the middle of it. Ask your pet to sit, show them the “treat”, then toss them the “treat” once they’ve sat so they eat it before they notice it’s a pill. How do you keep hair off of everything in your house? This answer is actually quite simple, just not very popular. Bathing and brushing! When people get pets, one of the most common prerequisites for them is that they shouldn’t shed. Most pet owners find out soon enough that all pets shed. The best way to keep the hair to a minimum is frequent cleaning and brushing of your pet. This solves the problem at the source. A vacuum doesn’t hurt either. Grooming at home? In order to do this without a hassle, you’ll want the right materials. For a stress free bath, put a thick towel on the floor in front of the bath tub. You may want to invest in a removable sprayer that you can use to bring up close to spray the shampoo from your dog’s hair. This makes at-home bathing so much easier. Lather, rinse, repeat. When you’re done, towel-dry your dog, then use a shedding comb to brush out loose hair. Keep your dog in close quarters, like their crate, until they are dry. Clean ears, brush teeth and trim nails while you’re at it! Get your dog's attention with a high rate of reinforcement! “My dog won’t listen to me when I’m trying to train them.” I hear this often. This usually means that your dog isn’t paying attention to you. They hear you alright; they just don’t think you have anything interesting to say, possibly because your *rate of reinforcement is low. This means that you haven’t rewarded them enough to let them know that you’re the one with the treats. It may seem silly, but at first, you need to reward your dog simply for looking at you. Once you have their attention, you can slow the rate of reinforcement down. Here’s a new one, courtesy of the fun new product, Lickety Stick! Having a hard time keeping your pet’s nails trimmed? Have an accomplice hold an opened Lickety Stick so that your pet can lick the ball. While they’re distracted by the yummy goodness, clip their nails. This is my method of choice in my home and it works like a charm. Distraction technique at its finest! 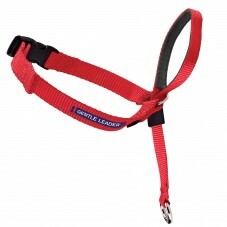 It would be difficult to talk about tricks of the trade without talking about the Gentle Leader head collar and Easy Walk Harness. These are dog walking tools you definitely want to have on hand. Check out this blog that goes into greater detail. The last trick I’d like to share is exercise! If there’s one thing that most dogs, cats and owners would benefit from immediately, it would be to exercise the pet. It will benefit your pet’s health, their behavior and maybe even your health! A fit pet is a happy pet; and a happy pet makes a happy owner! Go for a walk or run, play fetch, or just run around with them in the yard. Every bit helps! Do you have any tricks of the trade you would like to share? Please comment below!